Interested in participating in the Habitat 500? It takes a team of individuals to successfully execute the Habitat 500 Bike Ride – riders to bike the 500 miles; volunteers to help care for the riders; and sponsors to help cover the cost. Select the type of participant you’d like to be for more information and registration details. Are you a Habitat 500 Alum who can’t ride this year, but still want to support the Habitat 500? Habitat 500 Alumni Sponsorship Fund: A Habitat 500 Alumni Sponsorship Fund through which former riders can make a donation to help keep the ride going and financially viable. A list of alumni sponsors will be displayed at the ride so others can know of the support being given by past riders. Donations to the Alumni Sponsorship Fund will be combined into one sponsorship of the 2019 Habitat 500. Habitat 500 Legacy Fund: For those who wish to give more, we’re establishing a Habitat 500 Legacy Fund through which former riders can make a larger donation ($500 minimum) which will be used over the following ten years to support the ride (1/10 applied each year). If alumni riders continue to donate to this cause, perhaps the Legacy Fund could be extended out even further and with increasing levels of support. Legacy Sponsors will recognized during the Habitat 500 as well. 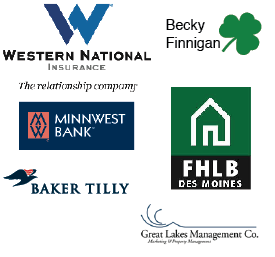 To donate to either the Habitat 500 Alumni Sponsorship or Legacy Fund, please mail your check (written out to “Habitat 500”) to Habitat for Humanity of Minnesota and add a note of which fund you would like to designate. One-Day Rides: Alumni who still want to do some cycling can participate in a one-day ride on either Sunday (7/14/19) or Tuesday (7/16/19) of the Habitat 500. The Habitat 500 is set up so that we stay two nights at the beginning of the ride (Saturday and Sunday) and two nights again on Monday and Tuesday. That means that doing a one-day ride on Sunday or Tuesday is easy since you arrive back at the same starting point and can head home when you are ready. There will be the normal SAG option if that daily route ends up being too long. Tuesday is also “Bike, Build Or Breather Day.” There is a 100-mile ride with the normal SAG option. If you would prefer, you could also make a difference and connect with friends while working on the bike.home. The important thing is that you can participate in the ride, but limit your time and the physical demands to just one day. The registration fee for either one-day loop is $100 with the donation requirement only $250. Click the “I Want to Ride” button above to sign up for either of these rides. Volunteer: The 2019 Habitat 500 is in need of volunteers. One way you could remain connected with the ride is to become a volunteer. You can still be a critical part of the Habitat 500 but just in a different way. Several of our alumni are now helping out in this way. Their intimate personal knowledge as a rider helps make them great volunteers. Email us to learn more about the volunteer spots we still need to fill this year, or sign up by clicking the “I Want to Volunteer” button above. Can’t ride this year, but still want to support the Habitat 500? Virtual Riders are invited to set up a personal fundraising page online, in support of the Habitat 500. You can invite your family and friends to help you meet your own fundraising goal. (There is no fundraising minimum to be a virtual rider.) Even if you can’t pedal the 500 miles this year, you can still help to build a cycle of hope for families in your community.